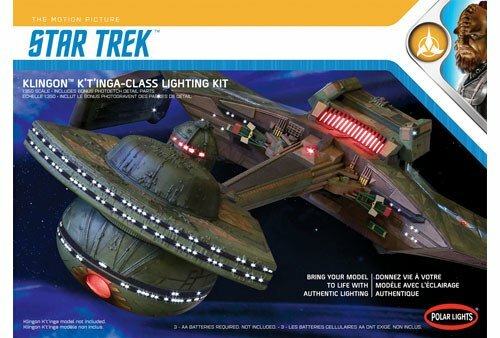 DESCRIPTION Polar Lights offers this exciting new lighting set to let modelers take their new Klingon K’t’inga kits to the next level. It features LEDs that represent every light in the ship. The set is “plug and play” and requires no soldering or advanced knowledge of electronics. Top and bottom beacons even flash in time. The battery box (3 AA batteries required, not included) get hidden inside the model. Clear red parts are included for better color quality for lit parts. A 2” x 8” sheet of photo-etched brass supplies exquisite detail for parts that had to be oversized in the plastic kit and include window frames for the battle head. A pictorial instruction guide is included. 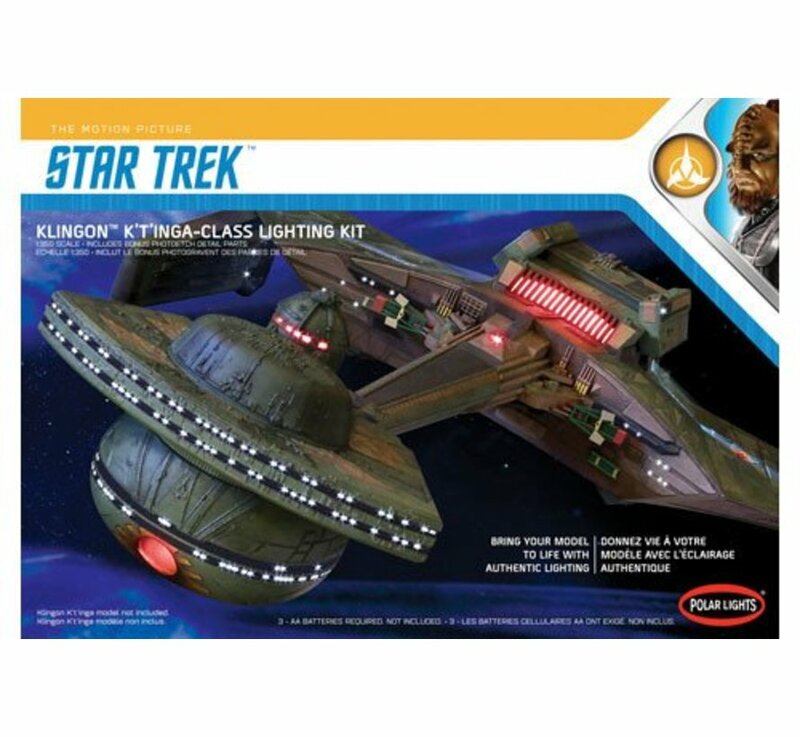 STAR TREK modelers will not want to miss this!